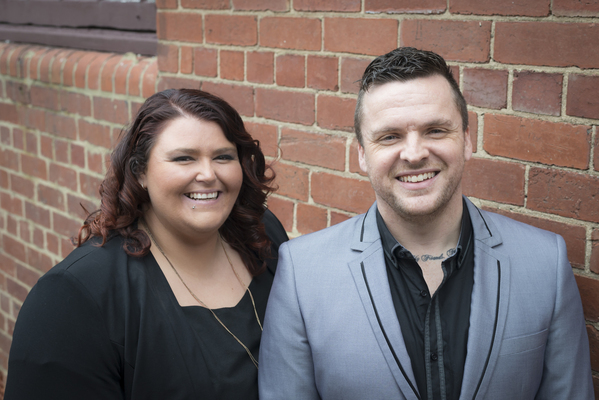 AWARENESS: Lara Chamber of Commerce vice-president Nicole Doherty with husband, mental health counsellor and fundraiser speaker Christian Doherty. Lara community groups hope to highlight their town’s “lacking” services with an event to raise awareness and money for mental health. The town’s chamber of commerce, sporting club and community bank this week announced they would host the fundraiser with various guest speakers. Raising money and awareness was important but the groups also wanted to let local and state government to know about Lara’s shortage of relevant services, they said in a joint statement. “Aimed at parents, teachers, coaches, youth, and people experiencing mental health issues, the event aims to both educate the community and raise funds for Read The Play, which provides mental health programs for young people through sporting organisations,” the groups said. They hoped to set a “positive first step in the right direction” toward implementing additional services at Lara. The groups noted that one in four people aged 15 to 24 experienced a mental health problem in any 12 month period. The same age group also accounted for 75 per cent of mental illnesses, they said. The event would feature “some of the best speakers” from around Geelong, including mental health advocate Tony McManus, a former Lara real estate agent with family experience of depression and suicide. The groups said Lara Sporting Club would host the event from 6.30pm on 17 September, with tickets available at trybooking.com/417539.